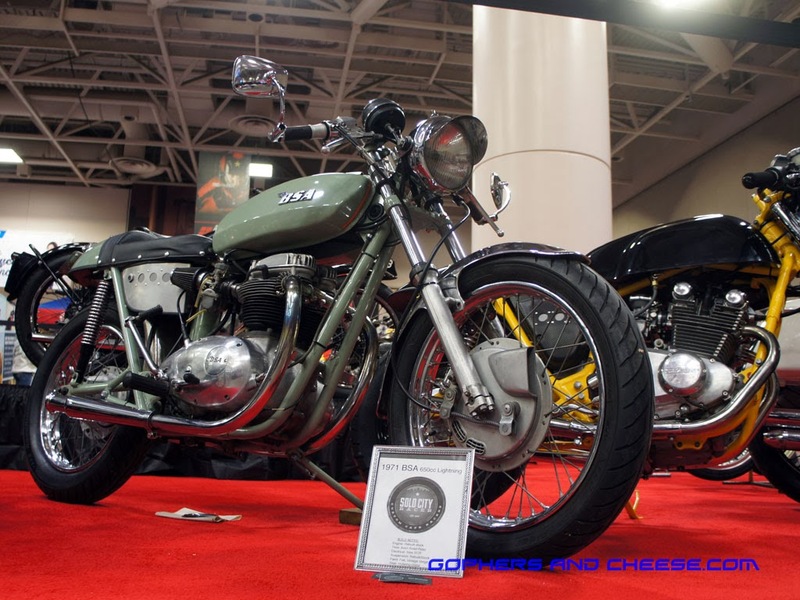 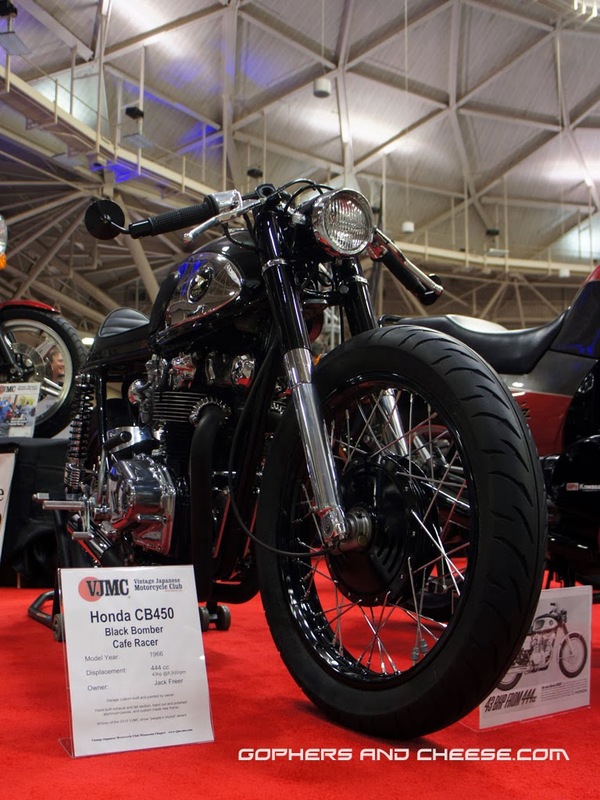 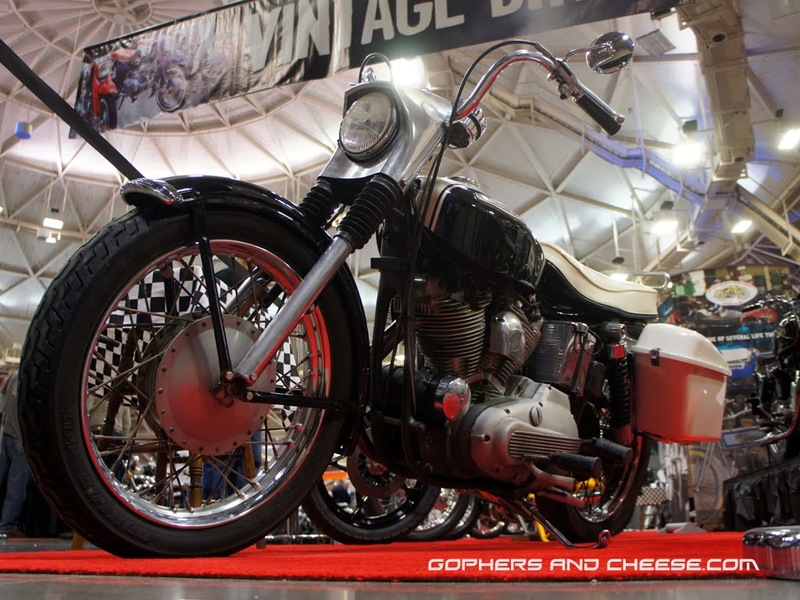 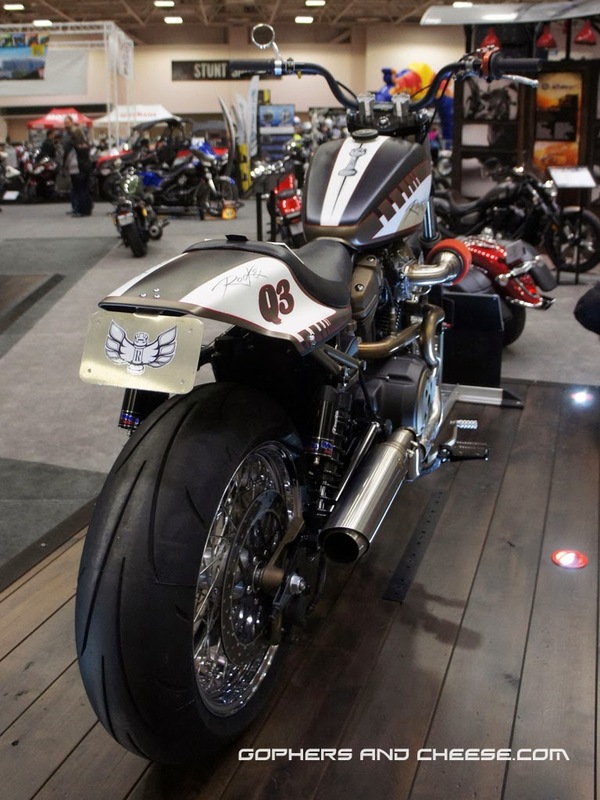 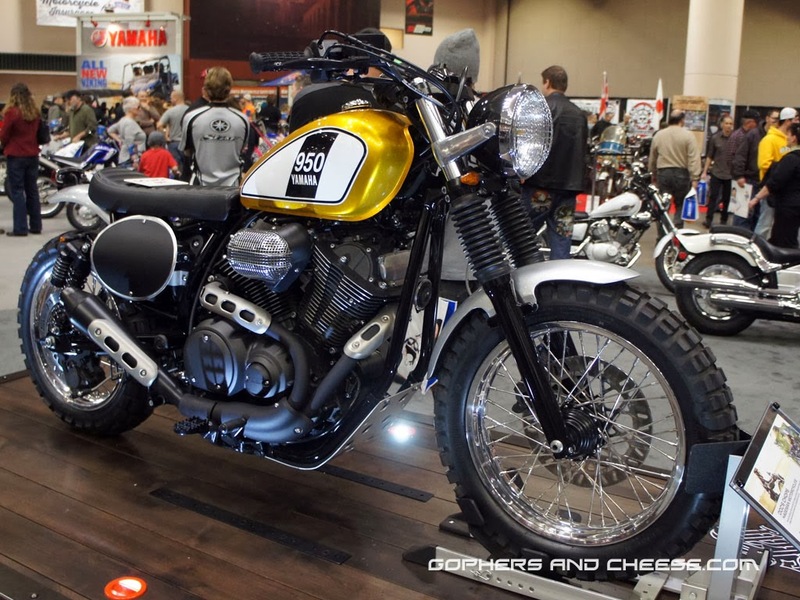 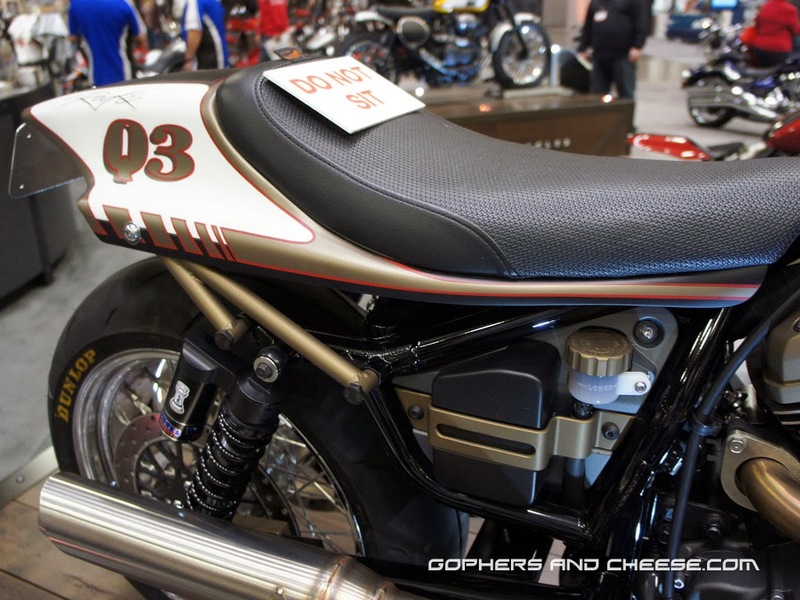 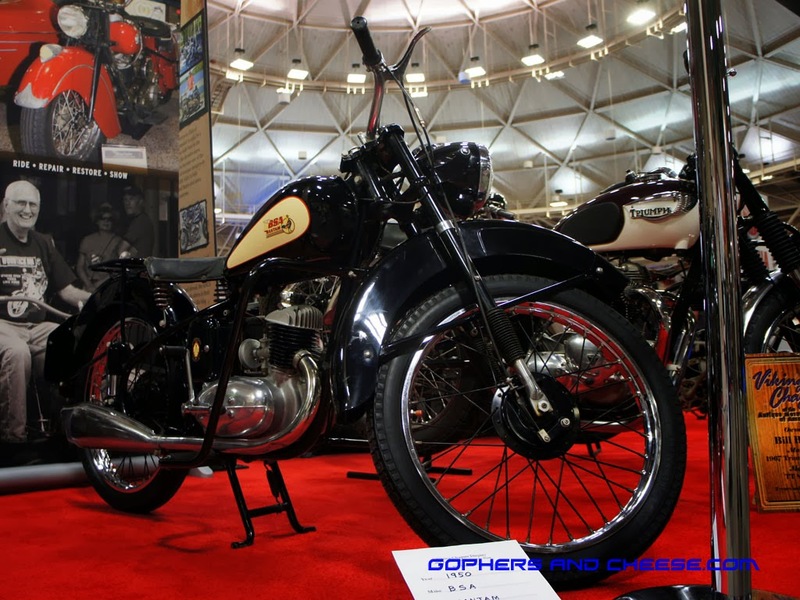 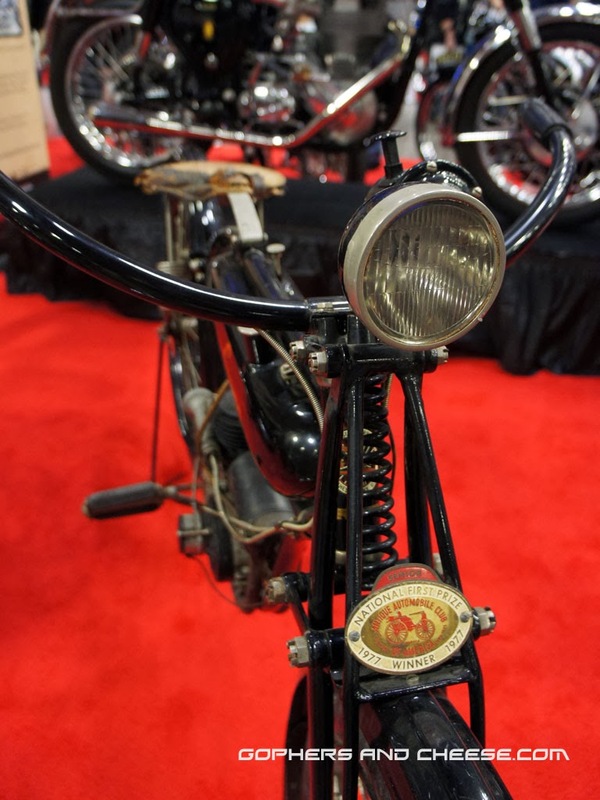 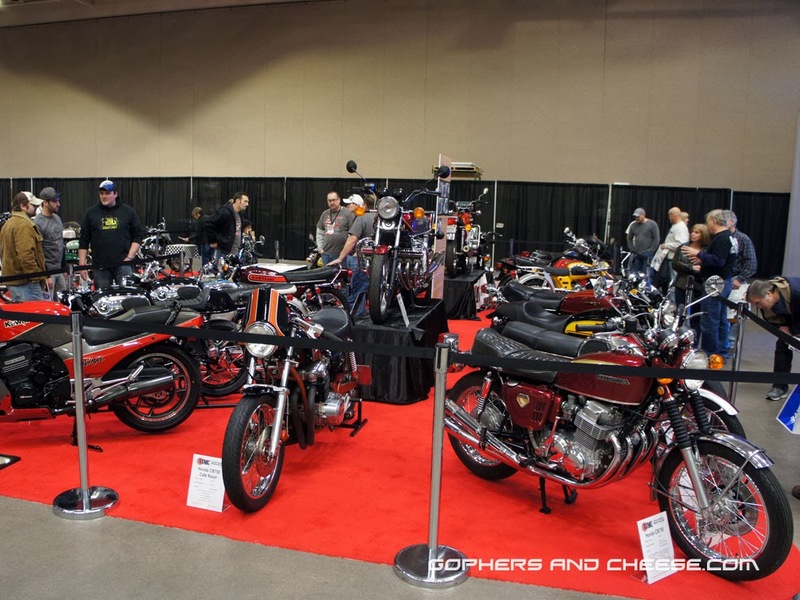 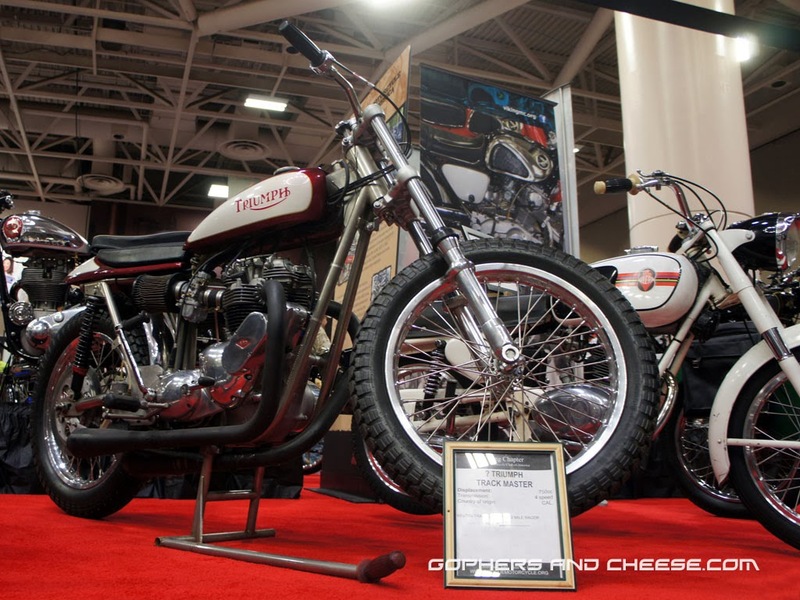 The Viking Chapter of the Antique Motorcycle Club of America and the Vintage Japanese Motorcycle Club both had big displays at the 2014 Progressive International Motorcycle Show. 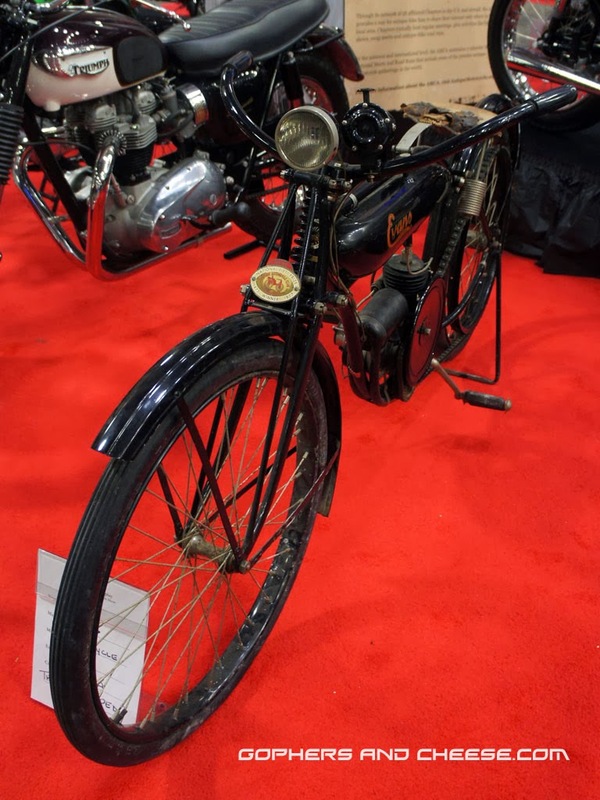 This 1921 Evans PowerCycle had a sign saying it might be the first moped. 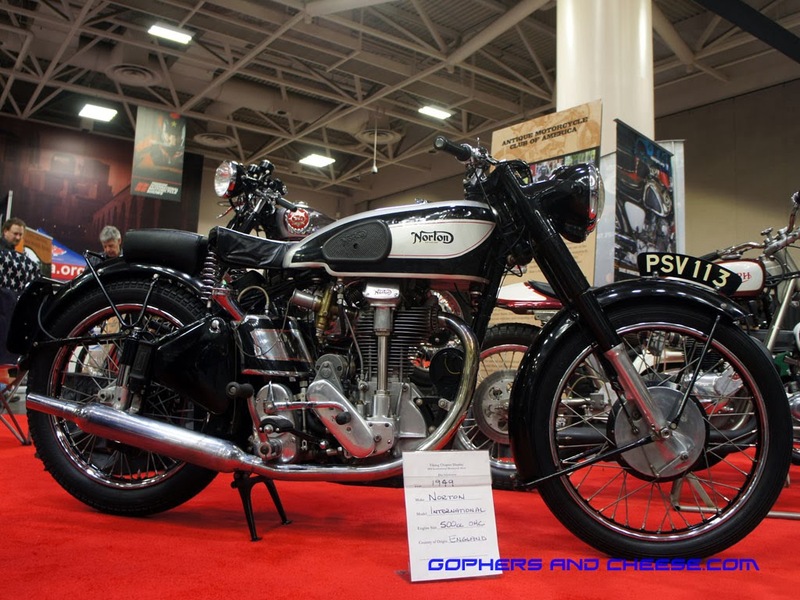 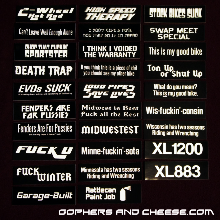 I don't know the history of mopeds so I have no idea. 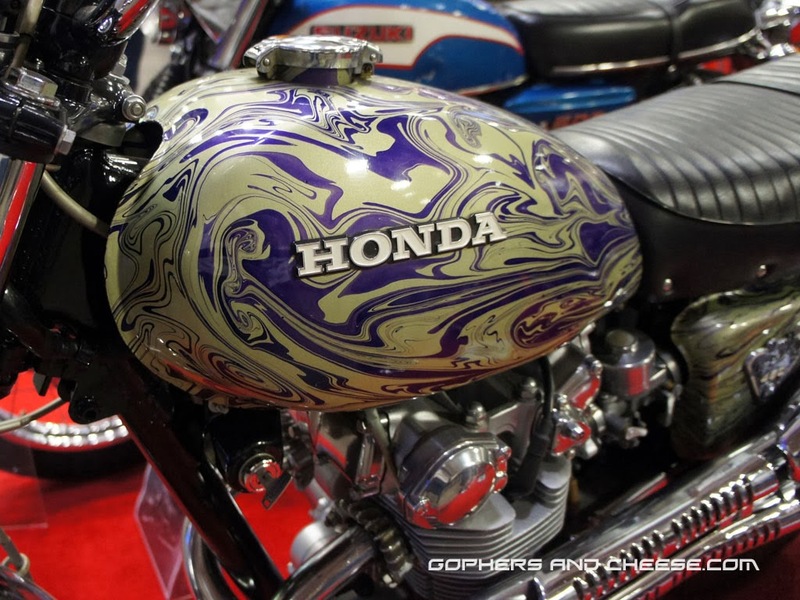 Crazy paint job. 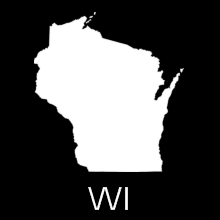 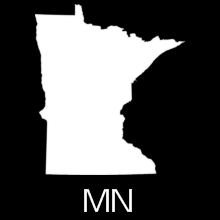 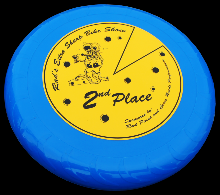 It reminds a bit of a bowling ball. 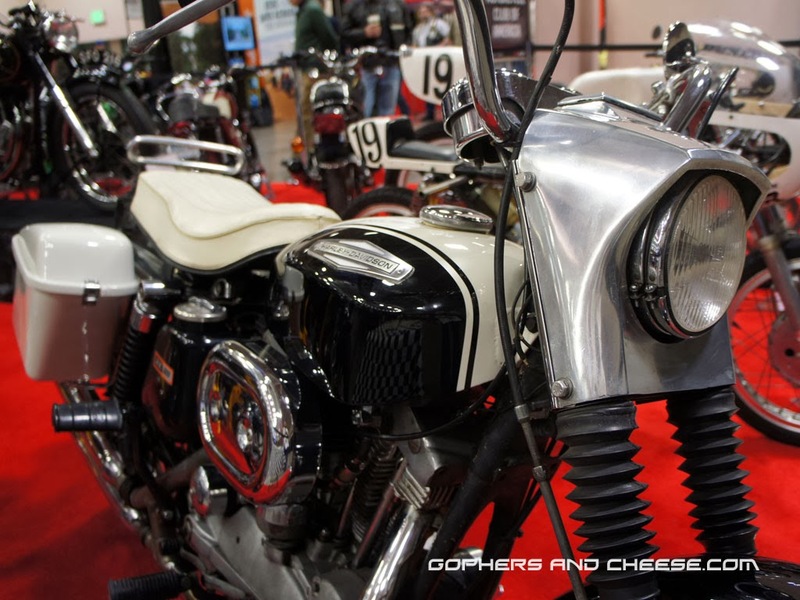 Outside of the VJMC display, there were two other Japanese bikes that caught my eye and they were much more modern. 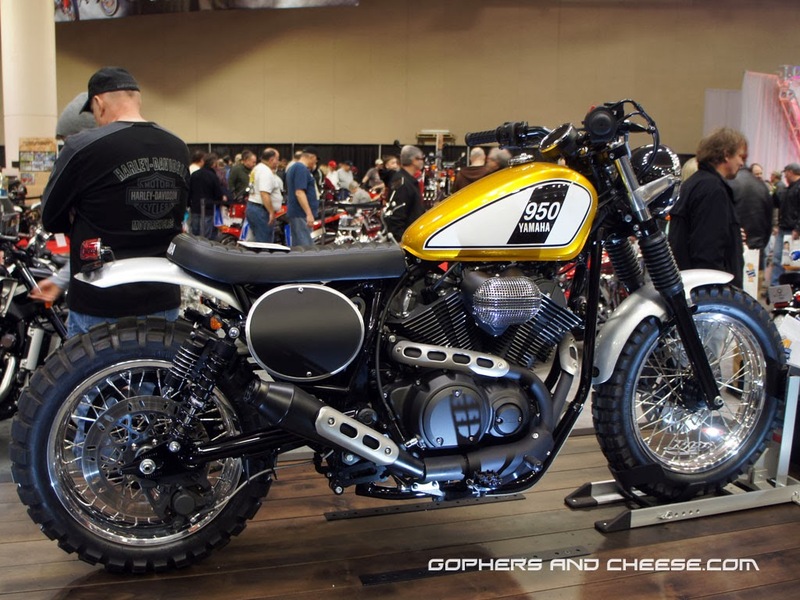 First up is this Hageman Motorcycles (formerly Doc's Chops) 2014 Star Motorcycles (Yamaha) Bolt 950. 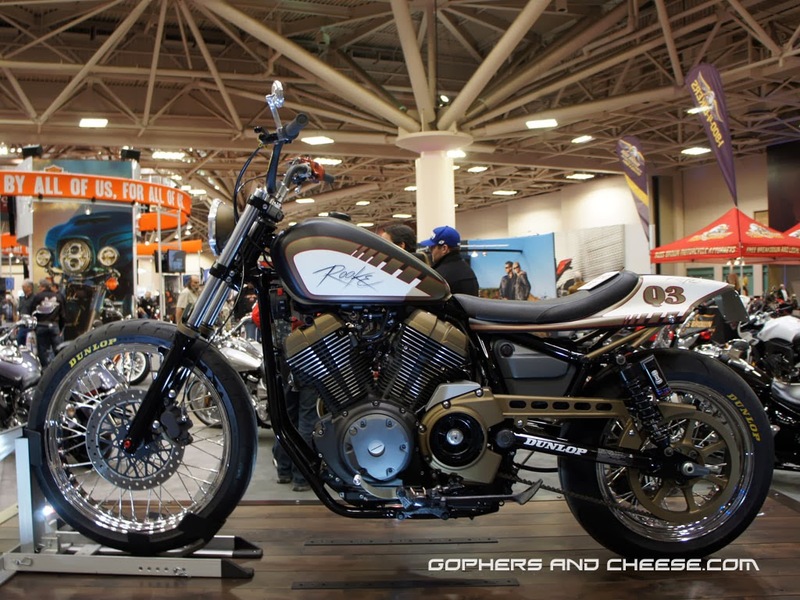 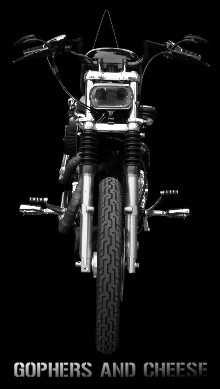 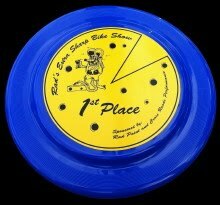 The other was also a Star Motorcycles Bolt, but this time it is a Rooke Customs Street Tracker. 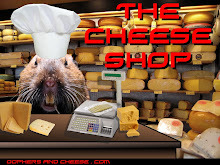 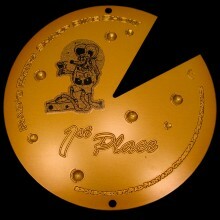 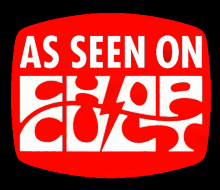 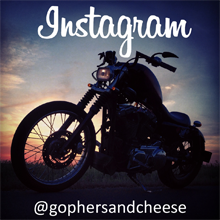 Four more posts to go so keep coming back!